We take electricity for granted and use it every day of our lives, whether it's to make a nice cup of tea, or to dry your hair in the morning as you get ready for work. Do you really know how your home electricity supply works? Do you know why a switch trips? Here is a simple guide to how your fusebox gets electricity to your appliances. The main distribution board (DB) is the main point for electricity entering a house and being distributed throughout the home. The mains switch allows you to turn off the electricity supply to your home and for this reason the DB should be mounted in a position that is easy to get to, so know where your DB and mains switch is in the event that you need to turn the electricity off in an emergency. 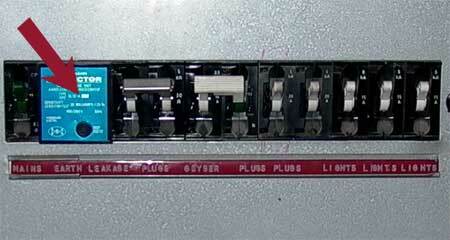 Circuit breakers are automatic protection devices fitted in the DB which switch off a circuit if there is a fault. When they switch off (Trip), you need to find and correct the fault before resetting (switching on) the switch. The earth leakage circuit breaker (ELCB) is a device that trips a circuit under certain conditions to disconnect the electricity supply. Few homeowners know that the earth leakage protection needs to be tested regularly - every three months or so. Test the earth leakage protection by quickly pressing the TEST button. Be sure to switch off appliances beforehand, such as PC's, etc., and do this test during daylight hours. Once pressed the device automatically switches off the supply, as it should do if an earth leakage fault develops. 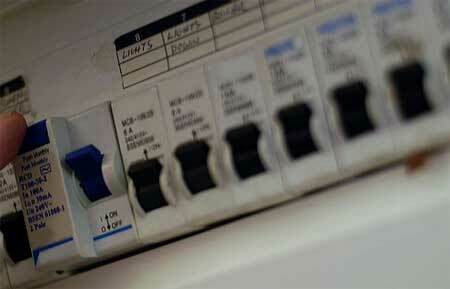 If the device does not switch off the supply when you press the button, contact an electrician immediately. To restore electrical supply, flick the main switch back into the ON position. While the test button only provides a partial test, you can also use a tester that plugs into your plug sockets to perform a more accurate test on all the plug points in a home. The tester costs around R100 and is available from most electrical supply ships. Follow the instructions to ensure that your home is safe. Testing the button every three months is important. If you are concerned about your distribution box, or any aspect of the electrics in your home contact a registered electrician.